Wait, two weeks? What? Yeah, last week I was sick and didn’t get this post up. No fear of this post getting too long, though, because I didn’t really work on anything either! Thankfully I’m starting to feel more and more like myself, and I can jump back into living life instead of just holding the couch or bed down! 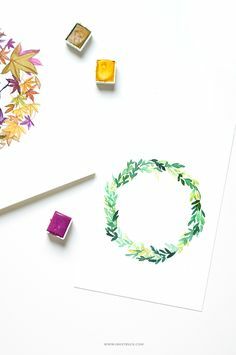 I’ve included the Bible journaling pages I’ve done as well, so some days there may be two or three photos to represent! Maybe that makes up for all of the days where there were none when I was sick. 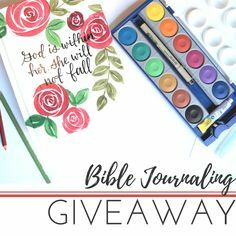 I really wasn’t going to share all of my Bible journaling prompts here, but there are so many that I’m pretty happy with, so a lot will show up in this round up. This challenge is giving me lots of opportunity to practice my lettering skills, and I’m enjoying that quite a bit! I did two this one day to try to catch up. This blanket is pretty much been the only thing I’ve worked on and counted for my #createdaily hashtag the past couple of weeks. I seriously had too much fun with these watercolor hearts! The blanket continues to grow! I’m loving how the cross pattern is coming out. I was really hoping to finish this blanket by the end of that week, so I started carrying it with me everywhere. The next several blanket posts were taken in various locations as I worked feverishly to finish. My watercolor galaxy for #worshipismorethanasong 2/15/17. Watercolor galaxies have been pretty intimidating to me, but I’m pretty happy with how this one turned out! This lion was pretty fun, too. I traced the lion image provided as part of the challenge, and then had fun watercoloring him in. I wish I had some masking fluid before I started on him. I need to add that to my arty wishlist. A little library crochet? Sure! Now the blanket is growing, but the yarn ball seemingly never shrinks! This was in the car as I should have been finishing. Unfortunately, I wasn’t able to finish in time. Thankfully I just missed the baby shower, but have a few more weeks before the baby will be here! Look how lovely the cross is, even as the square grows! Fast forward a week where I did nothing, and I’ve picked this blanket back up last night. Here’s hoping it will be done soon! Maybe some Netflix marathons are in order as I continue to recuperate!